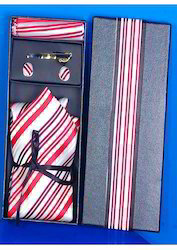 Our product range includes Formal Tie, Designer Tie, Silk Tie, Custom Tie, Cufflinks and Tie Packaging. Pioneers in the industry, we offer business formal tie, casual formal tie, formal tie, tie gift sets and office formal tie from India. Providing you the best range of designer tie, microfiber ties, men ties, italian silk tie and vintage designer tie with effective & timely delivery. 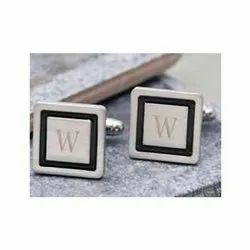 We are a leading Manufacturer of metal cufflink, promotional cufflinks, stylish cufflinks, cufflink item and men cufflinks from Mumbai, India. 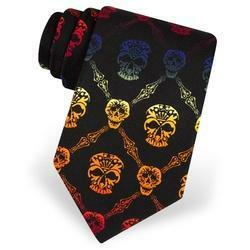 Offering you a complete choice of products which include tie accessories, tie, neck ties, tie box and necktie box. 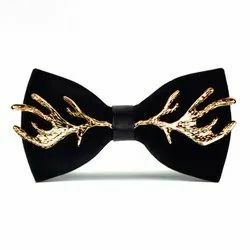 Providing you the best range of animal print bow ties, party bow tie, designer bow tie, polka dot bow tie and stylish bow tie with effective & timely delivery. 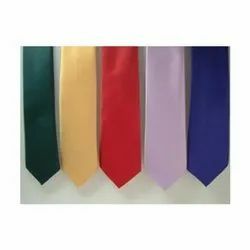 Offering you a complete choice of products which include office clip on tie, bottle green matt clip on tie, single stripe school tie, red matt clip on tie and clip on tie. 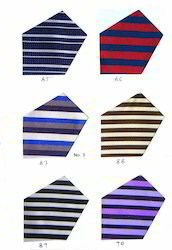 We are a leading Manufacturer of corporate tie, latest corporate tie, mens tie and silk woven necktie from Mumbai, India. Prominent & Leading Manufacturer from Mumbai, we offer silk woven cravat tie, polyester cravat tie, silk cravat tie, cravat tie and polyester tie. 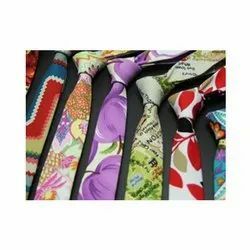 Our product range includes a wide range of colorful custom tie, custom tie, animal printed ties, paisley design ties and polka dot custom tie. Providing you the best range of military award lapel pin, aids day lapel pin, flag lapel pin and world aids day lapel pin with effective & timely delivery. 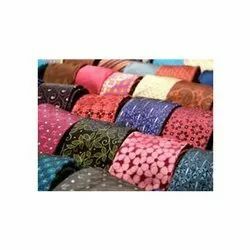 We are a leading Manufacturer of blue paisley tie, paisley tie, multi colored paisley tie and black paisley tie from Mumbai, India. 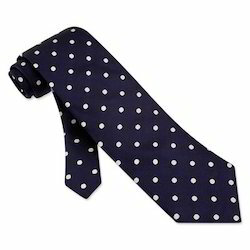 Leading Manufacturer of navy blue silk polka dots tie, polka dots tie, charcoal silk polka dots tie, red silk polka dots tie and printed silk ties from Mumbai. 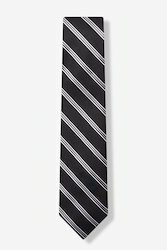 Pioneers in the industry, we offer school ties, custom school tie, check school tie, kids school tie and school tie from India. 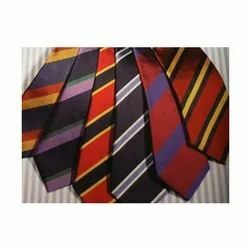 We are a leading Manufacturer of mens seven fold tie, seven fold tie, seven fold ties, stripe ties and seven fold necktie from Mumbai, India. 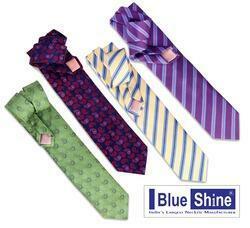 Our range of products include mens skinny tie, slim skinny tie, satin tie and skinny tie. 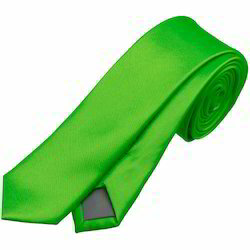 Our range of products include green color tie, yellow color tie and promotional ties. 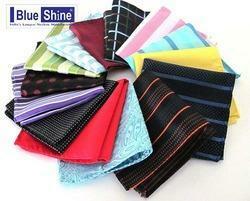 We are a leading Manufacturer of pocket square handkerchief from Mumbai, India. 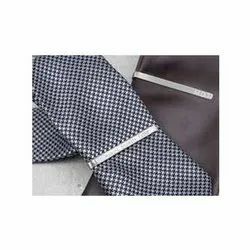 We are a leading Manufacturer of tie fabric, affordable cravats necktie, jacquard tie, jacquard fabric tie and neck tie fabric from Mumbai, India. 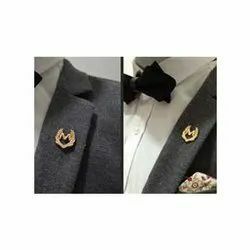 Offering you a complete choice of products which include gold tie pin, silver tie pin, pearl tie pin, crystal tie pin and formal ties. 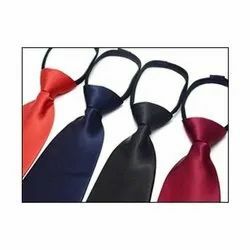 Providing you the best range of silk ties, silk neck tie, 100 % silk italian hand made tie, fancy ties and neck ties with effective & timely delivery. Accessories are the key to a great look, and nothing completes a man's wardrobe like a quality neck tie. 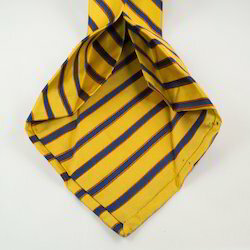 Jacquard neck ties offer attractive designs with an unmatched thickness and style. 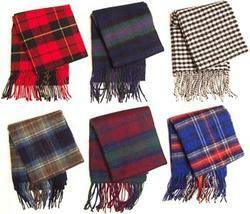 These products commonly comprise silk, which means they are among the most high-quality products on the market. 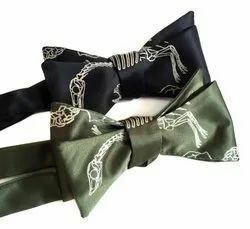 In addition, buyers have hundreds of patterns and designs to choose from, and it is possible to obtain a Jacquard neck tie to match every outfit in a wardrobe. There are a few important things for buyers to keep in mind while they shop, including tie size, materials, craftsmanship, and cost. 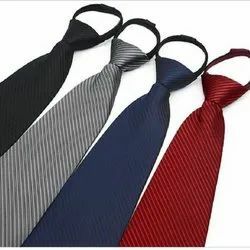 By learning about some of the most important aspects of these products, buyers can obtain quality ties for any occasion. 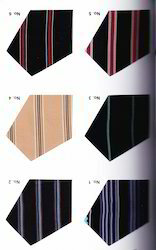 Tie Size--One of the first things to consider while shopping for Jacquard neck ties is their size. Manufacturers create ties in varying widths, and it is important to match this width to the man's body type, as well as his shirt and jacket lapels. For example, a thin man can use a slim tie between 2.25 and 2.75 inches, while a broad man looks better with a standard or wide tie between 3.25 and 4 inches.The same idea is true for selecting shirts and jackets, particularly for the lapels. 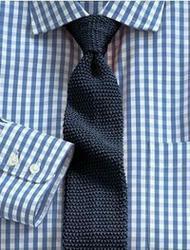 Length-Shoppers often overlook tie length, though it is an important part of finding a great item.With the exception of short suits, a man's tie should hang to his belt line.Ties do not normally list their size or length on the actual tie, so it is useful to learn the length before purchasing. Skinny Ties and Short Ties-Slim suits and short suits are popular among modern wearers, and there are Jacquard ties to match. Ties less than 2.75 inches wide pair best with slim suits, while a tie that hangs to just above the man's navel is the perfect match for a short suit. Materials and Craftsmanship-The most common material for Jacquard ties is silk.This makes them luxurious options that are great for warm weather and casual events. However, their fine craftsmanship also makes them an impressive choice for work, provided buyers select the appropriate colors and patterns. 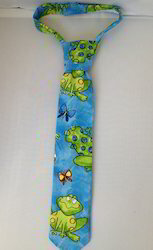 Manufacturer of a wide range of products which include school tie fabric. 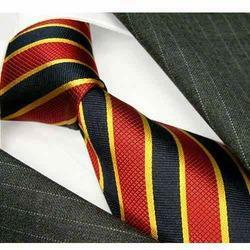 Pioneers in the industry, we offer plain ties, logo ties, branded ties and plain tie from India. 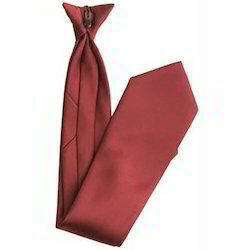 Offering you a complete choice of products which include silk ties and microfiber tie. Prominent & Leading Manufacturer from Mumbai, we offer check fancy scarf, men fancy scarf, red fancy scarf, designer scarves and party scarves. 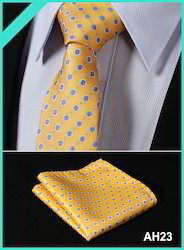 Providing you the best range of knitted necktie, cotton necktie and linen tie with effective & timely delivery. 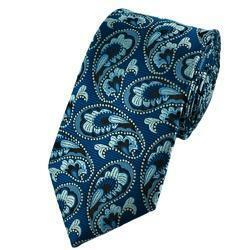 Offering you a complete choice of products which include printed ties, mens tie, elastic tie and polyester printed tie. 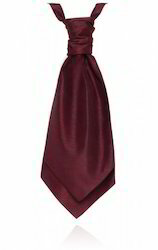 Offering you a complete choice of products which include zipper ties, zipper necktie and pre-knotted ties. Manufacturer of a wide range of products which include security ties. 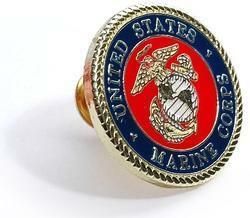 Prominent & Leading Manufacturer from Mumbai, we offer lapel pins. 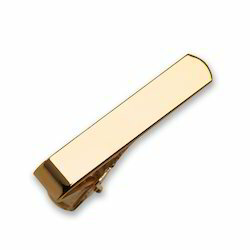 Offering you a complete choice of products which include tie pins. 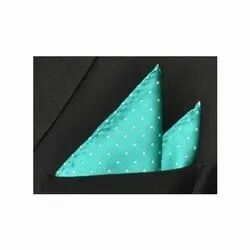 Our product range includes a wide range of pocket square hanky. 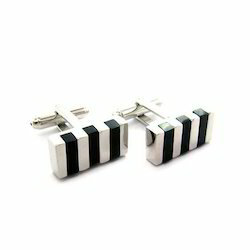 Pioneers in the industry, we offer designer cufflinks from India. 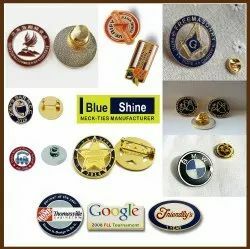 Pioneers in the industry, we offer badges pin from India.